Dear guests, we hereby inform you about the renovation of the building (façade work) by the property owner as well as construction work in the house itself, the latter concerning the 2nd and 3rd floor. These measures may cause noise disturbances, initially from Monday to Friday. For more detailed information, please contact the reception staff daily from 07:00am – 11.00pm at +49 / 351 / 41727-0. We are happy to have you as a guest in the Five-Star Superior Hotel Suitess. Sure, we cannot replace your home, but maybe we can, however, sweeten the distance. 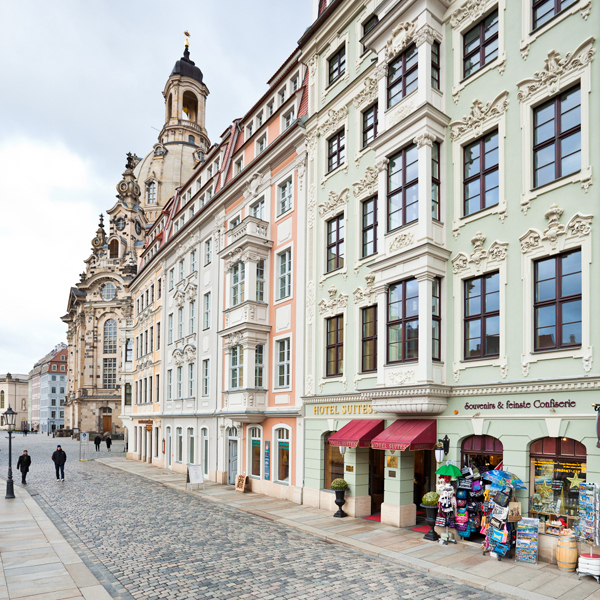 Enjoy the privacy, the personal service and the comfort of our private hotel in the heart of Dresden’s old city.